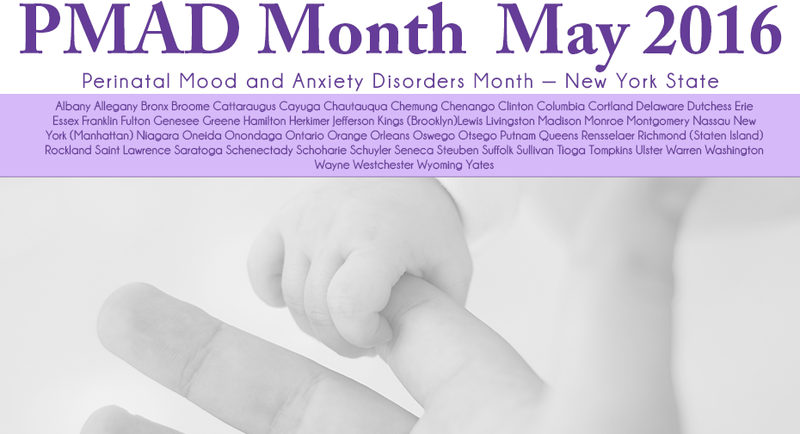 May is Perinatal Mood and Anxiety Disorders (PMAD) Awareness Month in New York State. Everyone has a role in the PMAD Safety Net! Every year over 50,000 New York State families will be affected by a perinatal mood and anxiety disorder. To increase awareness and access to care of Perinatal Mood and Anxiety Disorders during May 2016 in all 62 New York State counties and to as many of the 20 million New York States residents as possible. Get involved in your community. Become a Partner.